Here is the conclusion to our three-part blog series 5 Steps to Paying Off Credit Card Debt. Step 5 – Try your best to NOT open up new credit cards. When you are overwhelmed by credit card debt, call Denver Bankruptcy Attorney Arthur Lindquist-Kleissler for help getting the debt relief you need. While it may be obvious, it’s no less important to point out that, when people are trying to pay down their credit card debt, it’s extremely counterproductive for them to open up new credit cards (or any new lines of credit, for that matter). Regardless of how enticing a deal may seem when it comes to opening up new credit cards, the “rewards” will likely not be sufficient to warrant another payment and potentially high interest rates when people are trying to get their credit card debt under control. Therefore, do your best to avoid getting more credit cards when you are trying to be responsible about paying off your current credit card debt. If, however, you can’t avoid opening up a new credit card, make sure you shop around and try to get a card that has a low interest rate. All of the advice in this three-part blog assumes that people have an income and that their debt is manageable enough that people can make each of their monthly payments on time. If, however, this is not the case because, for instance, people are unemployed or they simply have way too much debt (and, therefore, can’t keep up with all of their payments), it may be time to consider filing for bankruptcy. Bankruptcy can effectively discharge credit card debt – as well as some other types of debt – and, therefore, can be critical to giving people a financial fresh start when they need it. 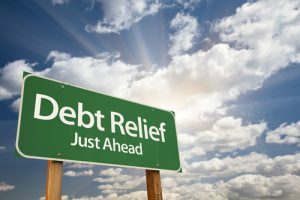 Because there are some eligibility requirements for filing for bankruptcy in Colorado, however, be sure to discuss your situation with an experienced attorney like Denver Bankruptcy Lawyer Arthur Lindquist-Kleissler to find out what the best debt relief options may be for you. For more than 34 years/since 1979, Mr. Lindquist-Kleissler and the other legal professionals at Lindquist-Kleissler & Company, LLC have been providing both individuals and businesses with the highest quality of legal services when it comes to debt relief and bankruptcy. This means that our clients can always count on us to bring a fresh perspective to their bankruptcy matters and to examine non-traditional options for their cases. Regardless of the specific services provided, one of the factors that never changes is Mr. Lindquist-Kleissler’s commitment to helping each of his clients resolve their case as efficiently and favorably as possible.